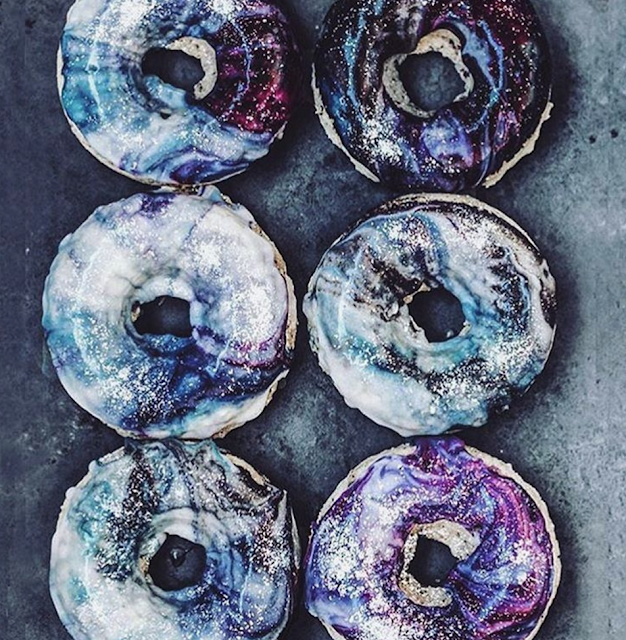 H.Rebel on Instagram is on a new doughnut wave and I want to be on her level. 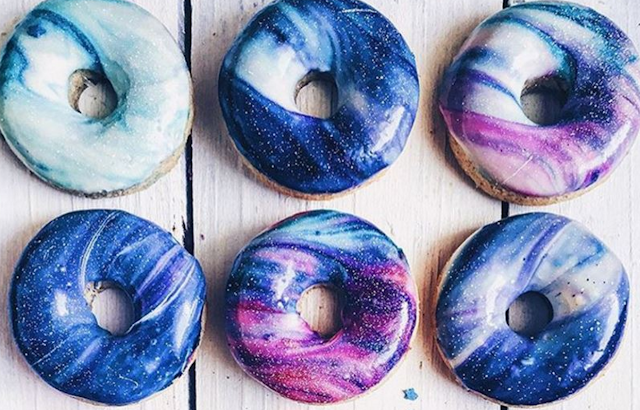 Rainbow food was so early 2016, now that it's July, galaxy has taken over food. From cupcakes to macarons and food it's no surprise that doughnuts are the newest thing to drive the internet crazy. Since its technically still National Brunch Day and tomorrow is Sunday, I totally recommend making these. I have the recipe for the icing down below. Ya girl does not have time to sit down and make doughnuts so I recommend buying some plain cake ones from Dunkin and icing them yourself.